CBD Oil Review rates SAUC CBD with three stars because it qualifies for the Quality, Mission & Safety Badges. The proof is in the SAUC! Pronounced “sauce”, here is a company that has a singular focus: they do one thing and they do it well. 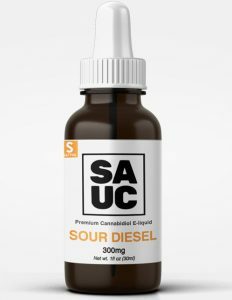 By centering all their efforts on the vape market, SAUC delivers an elite product line featuring a blend of CBD isolate with organic terpenes that tastes great and contains no traceable amounts of THC. Their price point is noticeably affordable, and from what we can tell, they don’t sacrifice any product integrity. Relentless research and ardent transparency are the cornerstones of their practices, and we like what we see. 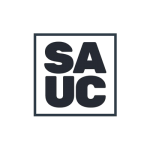 SAUC was formed by a group of passionate New Yorkers who noticed a void in the CBD industry for affordable vape products produced here in the U.S. After tiresome research, they came up with processes and formulations that exceeded their expectations. SAUC focuses solely on vape products, putting all their energy into developing a thoughtful and unique line. SAUC sources domestic, industrial hemp free of GMOs and pesticides. Mature stems and stalks are processed via CO2 extraction and are formulated into small batches. From there, the batches are sent to one to two independent laboratories, ProVerde and/or CW Analytical, for testing. While we don’t see results published online for each and every SKU, SAUC exudes an obvious transparency, encouraging customer communication and offering latest test results upon email request. Therefore, we can confidently award them the Safety Badge. 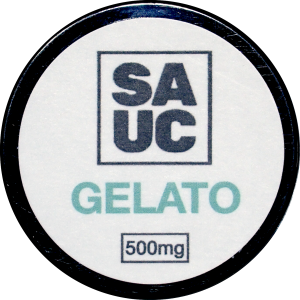 SAUC stands behind their unique formulations that consist of CBD isolate blended with organic terpenes. Unlike full spectrum CBD, these products contain absolutely zero THC but still offer the benefits of the entourage effect through their synergistic combination. Their strain-specific CBD liquid comes in three flavors with clean ingredients we approve of. They also offer the popular CBD SAUC, a versatile mixture of CBD crystalline and terpenes meant for dabbing and infusing in a variety of homemade goodies. Their CBD additive can be added to other e-liquids, and finally, SAUC manufactures top-of-the-line, leak-resistant vape pods in four varieties. SAUC’s products provide a supercharged vape experience meant to match mother nature’s flavors. These items are phytocannabinoid and terpene-rich, without any traceable amounts of THC. We admire their dedication to doing one thing and doing it well, especially in a market where many are trying to do a thousand different things, often compromising their vision and product integrity. Unfortunately, we could not award the Charity Badge since SAUC is not actively engaged in any philanthropic efforts. Bottom Line – SAUC sharply focuses on the vape segment of the CBD market, dedicating their efforts to developing the best vape experience for their users. 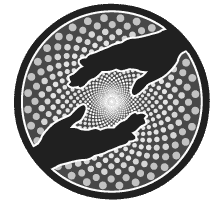 They are transparent and offer high-quality, affordable products sourced and manufactured here in the U.S.
SAUC sources non-GMO hemp free of pesticides grown and processed in the United States and produced in small batches. SAUC is committed to offering healthy, premium vape products that are affordable, safe, and domestically produced. SAUC sends each of their small batches for testing at two independent laboratories and publishes results online. Most recent results are available upon email request.